Thinking of studying at the Royal Academy of Art, The Hague? Visit our Open Day on Saturday 26 January 2019 and find out everything you want to know about the academy and our art and design programmes. 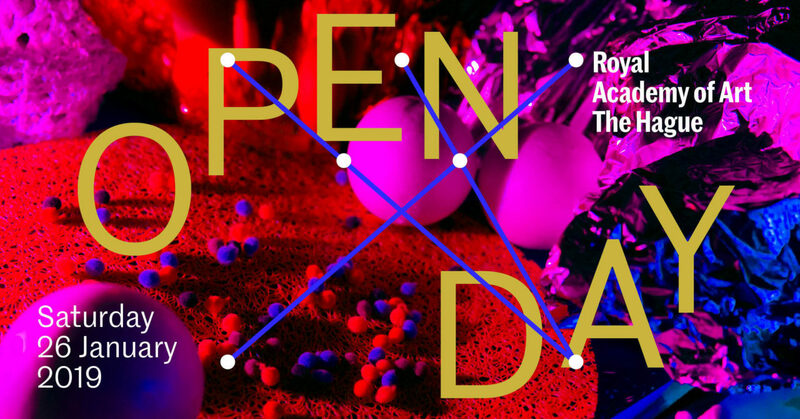 During the Open Day you can attend a full day’s programme of exhibitions, presentations, tours, portfolio reviews and much more. You'll be able to ask questions, gain in-depth information on our bachelor's and master's degree programmes, preparatory courses and the PhDArts offered in collaboration with Leiden University. You'll also have the opportunity to visit the studios and facilities and experience first hand the atmosphere at the academy. Interested? Ready to apply to one of our programmes?